YCF has an active and vibrant Youth ministry. There are regular activities throughout the year that seek to cater for the emotional, physical and spiritual well-bring of the youth. We also work closely with the Police and Drug projects in order to host various informative seminars. YCF have a dynamic and vibrant children’s ministry. The children are empowered and educated through specific teaching programs, social activities and the performing arts. YCF operate a Child Protection policy and are registered with the Churches Child Protection Advisory Service. YCF offer marriage support in the form of pre and post marriage counselling. We also run a range of marriage activities throughout the year for those that desire to be married and those that are. If you would like an appointment,please contact the YCF office. YCF is committed to fulfilling its mandate to certain nations of the world and believe it is important to incorporate all members into the work of mission in order to aid their spiritual growth. YCF currently operate short-term trips ranging from ten days to two weeks with the aim of helping ministries to impact their nation. 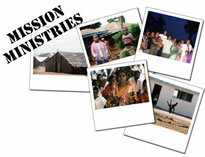 YCF has also embarked on church planting programs and when requested, provided spiritual oversight of ministries. YCF currently has a network of affiliated churches in the UK, India and Kenya.